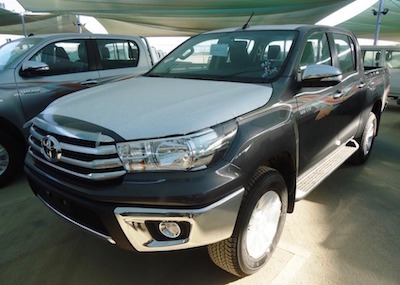 All JVP MPs including its leader Anura Kumara Dissanayake and the COPE chairman, Sunil Handunneththi have imported brand new Toyota Hilux 4wd Diesel Double Cabs from Thailand using duty free vehicle permits which resulted in the country losing millions of rupees in revenue. 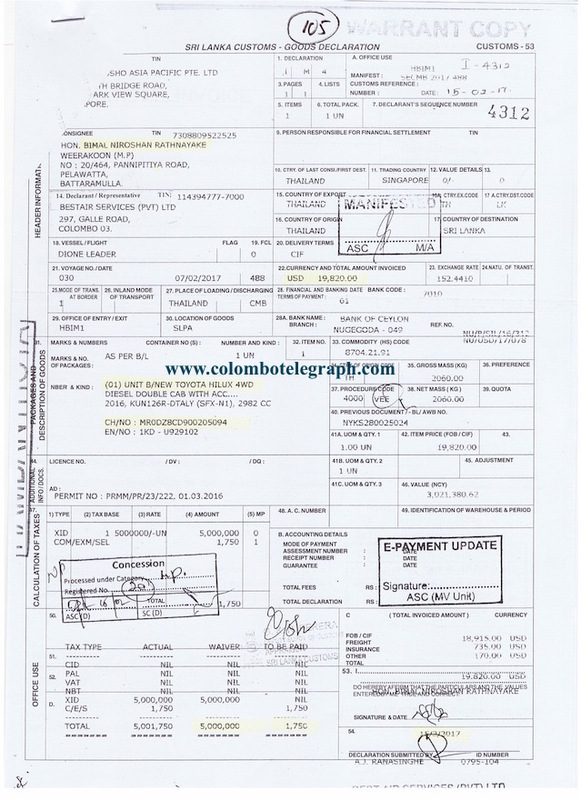 According to the custom’s declaration form, the total tax waived off for JVP Double Cabs which were imported on February 15, 2017 is approximately Rs. 30 million. Although each MP is allowed to import a vehicle equivalent to US $ 62,500 JVP MPs have chosen to import these Double cabs each costing US $ 19, 820. Meanwhile in the Writ application filed in the Supreme Court (SC/Writs/07/2016) against the Commission to Investigate Allegations of Bribery or Corruption (CIABOC), the Public Interest Rights Activist and a Lawyer Nagananda Kodituwakku argues that it had failed to perform the duty vested in it to conduct a credible investigation and prosecute those MPs who have sold their permits, despite first hand direct evidence of selling permits was made available to the CIABOC by him, demonstrating the selling of the MP tax free permits to third parties who had imported luxury vehicles and registered the vehicles in their name at the RMV despite they were not entitled to use the tax free privilege only afforded to the MPs only. The Petitioner lawyer argues that those who hold office in the Legislature and the Executive have themselves acknowledged their obligations to the People and their duty to preserve people’s rights and privileges, so that the dignity and freedom of the citizens would be assured and a Just, Social, Economic and Cultural Order attained. But their conduct concerning the selling of permits demonstrates patent violation of their Constitutional obligations to the people, effectively nullifying the equality, fundamental rights and the doctrine of Democratic Governance enshrined in the Constitution. The Lawyer further argues that the unlawful selling of permits clearly undermine the sovereignty in the people and betray the peoples’ trust and confidence placed in the MPs appointed or elected to the Legislature and Executive and such actions violates the law relating to corruption and hence false well within the criminal offence of corruption as defined in the Section 70 of the Bribery Act and therefore seeks the intervention of the Court that is empower to protect, vindicate and enforce the rights of the people [Article 105] of the Constitution. They created new political crisis and catastrophe is mounting ,even that drawing economic uncertainties are even nearing . Where and how JVP’s that MPs one get money during heavy burdens to public since 2015 January 9..?? Where is that JVP accountability of installed “Good Governance” responsibility ? The Sri Lankan catastrophe will not wait. It is high speed advancing terrific rate but JVP leaders want luxury big vehicles over US $ 200,00 to 300,00 dollars per persons? What is this petty -bourgeoisie COWARDICE of JVP line of “socialism”! !!!!!!!!!!!!!!!!!!! Nation Parliamentary Democracy in rock the majority rural population are on the verge of famine and disaster in door step. But that JVP care too hoots they are in re-defined life styles which suited of Capitalist mode operation. Such a misleading first paragraph. It’s unfair to pick on the JVP MPs for importing these vehicles. They have been role models from the first time they were granted import permits in the 2000s by purchasing dual purpose double cabs that cost the tax payer far less than the SUVs and cars other MPs purchase. Double cabs maybe luxurious according to the Sri Lankan tax system, but they are light commercial vehicles for the rest of the world. Double Cabs are more expensive than Sports and Utility Vehicles. Double cabs are used for business purposes. 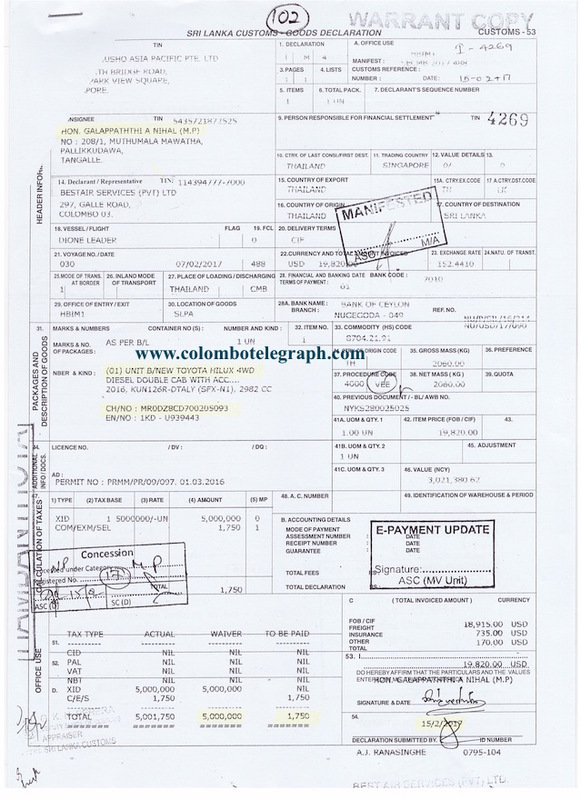 It has higher Toll in Toll roads (not in SL). Why do these people need double cabs. Because they would hire or sell it off the record for a profit to a businessmen. Look at per capita of Citizens of Sri lanaka. 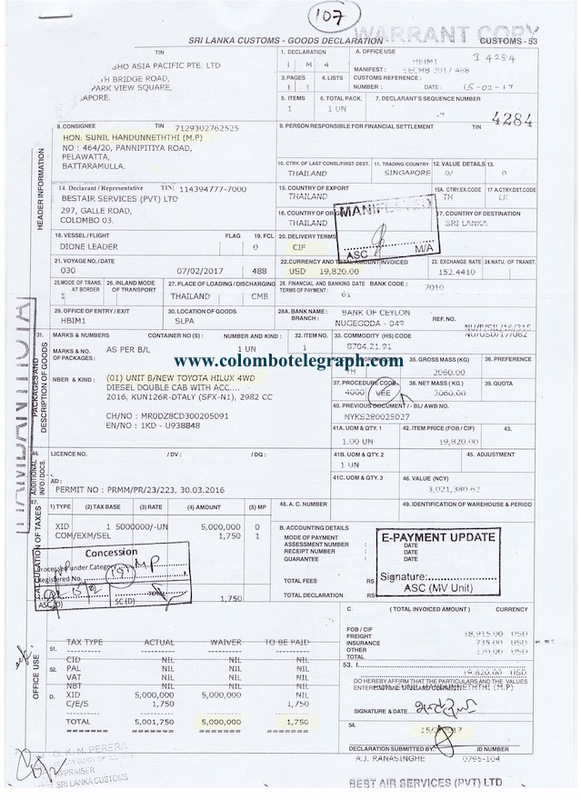 What about for vehicles for JVP is of US $ 200,00 to S 30,000 are cost without taxes . Which far above normal income of Sri. Lankan? JVP is above average people level! These are double cabs. Not SUVs. Sri Lanka would be a lot better place if the others follow and do the same. I’ve been a CT reader for many years and for the last two years or so, CTs credibility is taking a nose down. We are not fooled by this article.To disgrace the likes of JVP is to our folly. Concerned citizen need not be fooled by this article at all. JVP MPs true character in this organised game of deceiving the people for their private benefit will come to light very soon. Heard about he Fake News.We must be learning from Trump. 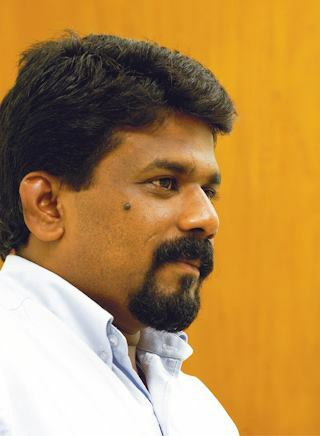 JVP comrades who wish to lead the country one fine day should very carefully understand that the ‘Ranil Club’ (consisting mainly of Ranil, Ravi, Malik, Paskaralingam, Charith) constantly advised, guided and controlled by the West has inherited the practice of the, then ‘JR Club’ giving dead ropes ans set up traps even to top Marxists (Philip G), Socialists (Anura B), Scientists and nationalists (Champika R), War heros (Sarath F) and section of Clergy . Now the non-liberal theory seems to be If the opponent does not cross the line or jump the fence, lay a trap with an attractive, mouth-watering bait. ‘Duty-free vehicles’ and ‘Increase of MP Salaries, Pensions and other facilities come under this category. So it is very unfortunate that Anura D has committed ‘Hara-Kiri’ collectively by enjoying ‘Duty Free’ facility to the utmost satisfaction of the Ranil Club. Dear Comrades, Better to accept misdeed/s and re-ship all the duty free vehicles get yourself free from this financial scam. Build your capacity to accept errors and rectify them before the people. [Forget Sirisena, who is only a lifeless billboard being displayed on the roof of the UNP juggernaut and concentrate on the activities of the ‘Ranil Club’. I am sorry I am not aware Champika R is also a scientist. Could you let me know his contribution to science. However he once told his Paris fan club that his ancestors discovered Zero. It is normally believed scientist are considered as the high priests of rationality. How come a nationalist is also a scientist? Aren’t you pulling our leg? By the way didn’t he serve for a time as Cabinet Minister of Agriculture, Livestock, Lands and Irrigation PA government? I don’t understand the compulsion for Anura (the Brahmins of Sri Lankan politics) to accept cabinet post in an untouchable PA government? I didn’t also understand how Anura tolerated the hypocrite and public racist Somawansa for years. 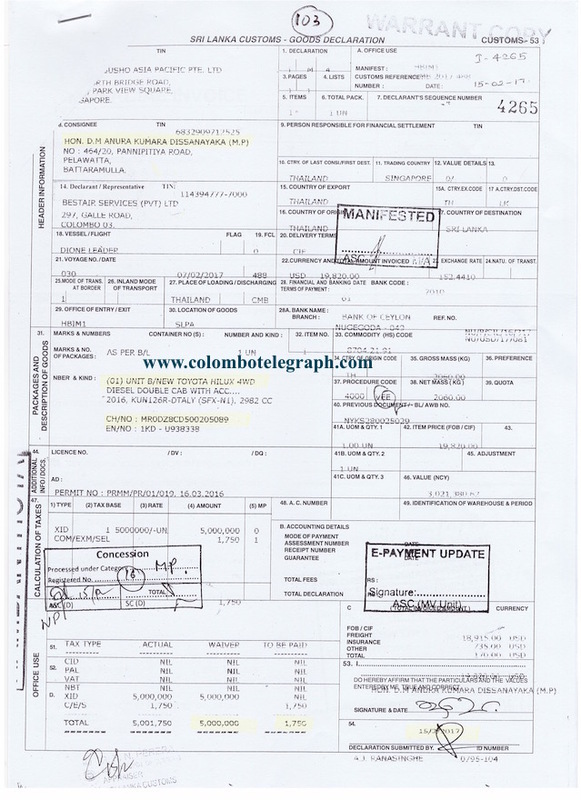 JVP MPs have accumulated hundreds of millions tax revenue by misappropriating the tax revenue. 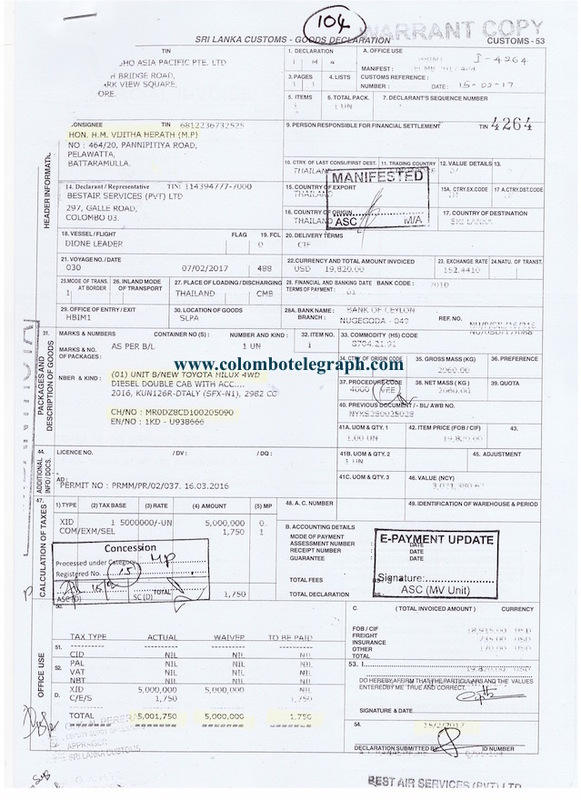 When they sell their vehicles imported tax-free, the JVP MPs never credited the tax component to the general treasury. 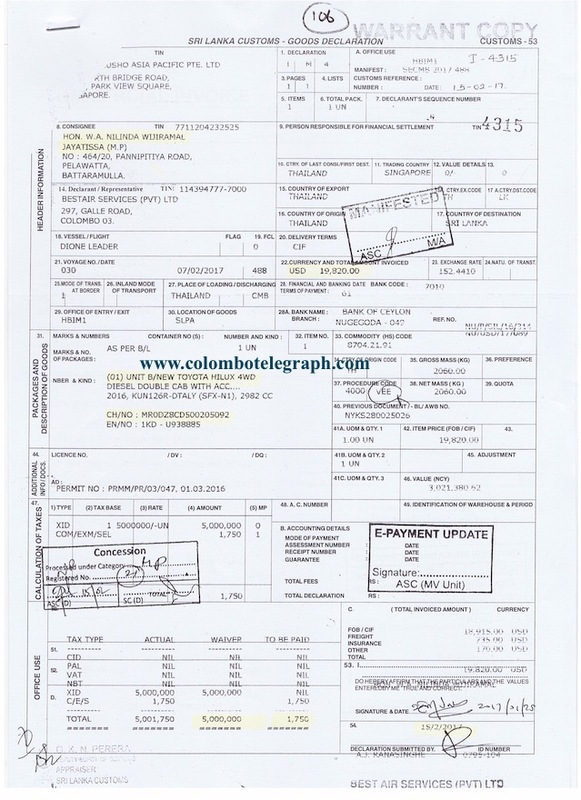 Very likely Anura K and Co may say that they never took that money home but spend for the party. May be they are latter day Robin Hoods? I don’t see them living a luxurious life, having hidden assets etc. They may be using this bonanza for the good of the people or for them to spread the word against the wrongs of the country.